When you have attended as many catered events and cocktail parties as I have, you get the opportunity to sample a variety unique and tasty foods. 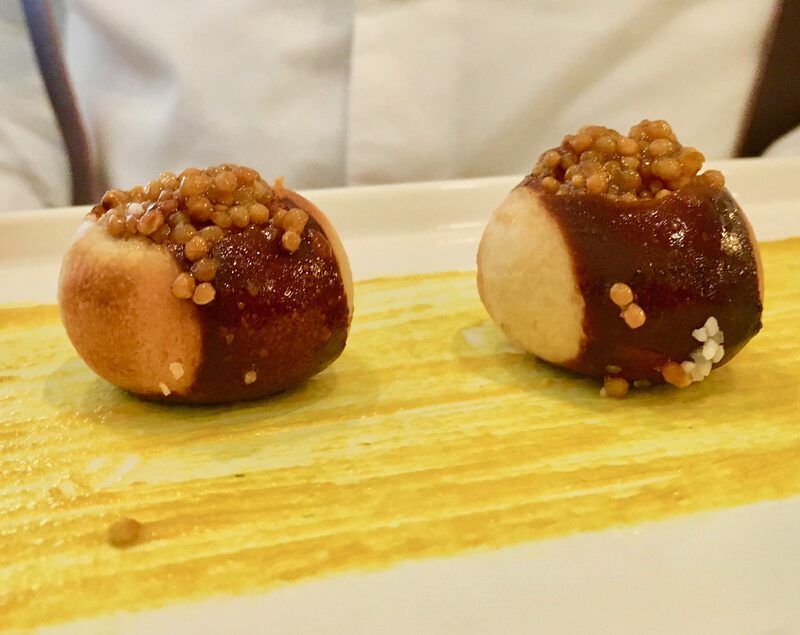 But after your umpteenth morsel of Prime Rib on a Crostini, or Coconut Fried Shrimp, you might tend to encounter a lot of sameness among the small bites being offered by various NYC catering companies. 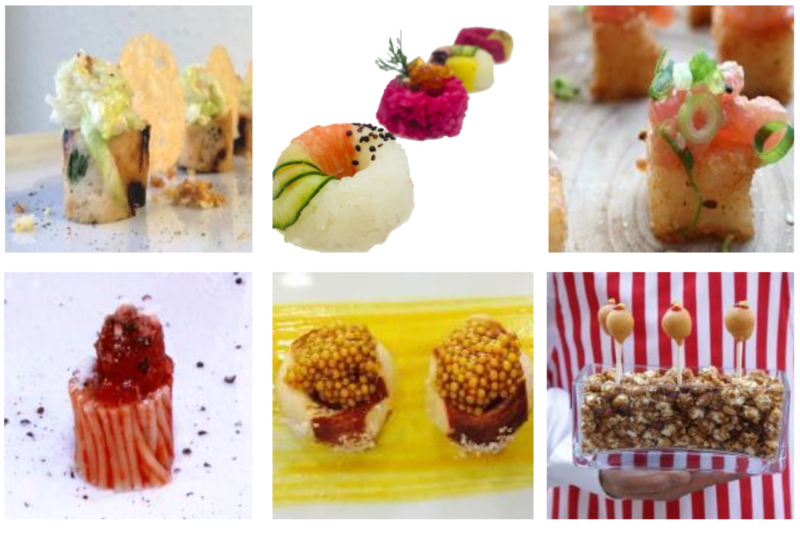 Yes, you have perhaps tasted it all, until you are lucky enough to attend a party catered by Scoozi Events: and it is only then that your tastebuds will be fully awakened to true culinary innovation! 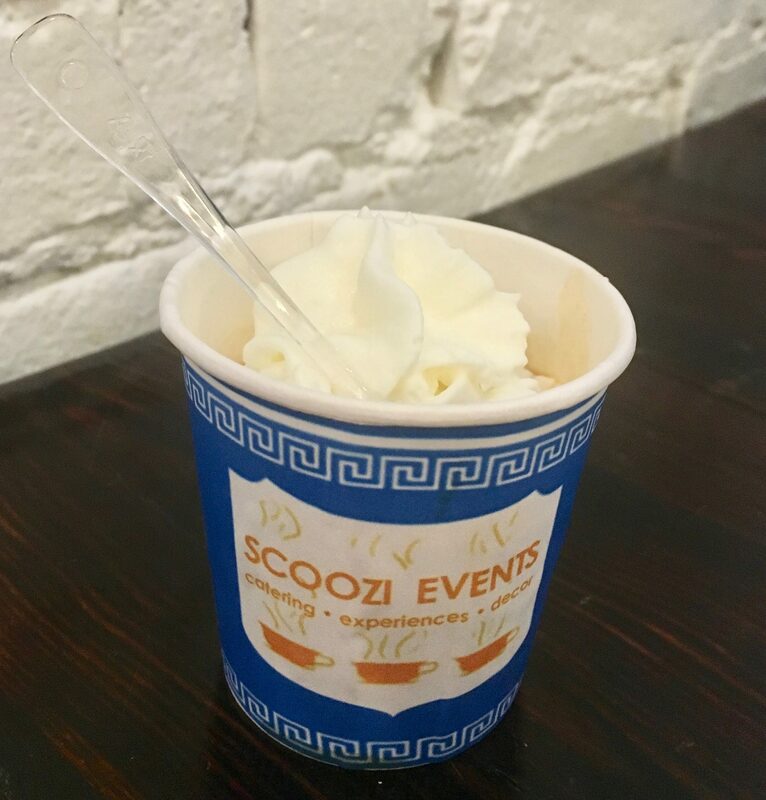 In operation since 1996, Scoozi Events is a full-service catering and event resource. Voted New York City’s Most Creative Catering Company, Scoozi is also a company with a conscience. Certified green with three stars by the Green Restaurant Association, Scoozi recycles, composts, and uses eco-friendly products in an effort to continue reducing its carbon footprint. The goal is to provide clients with an unmatched experience, from décor to cuisine; and the true magic is in the details. 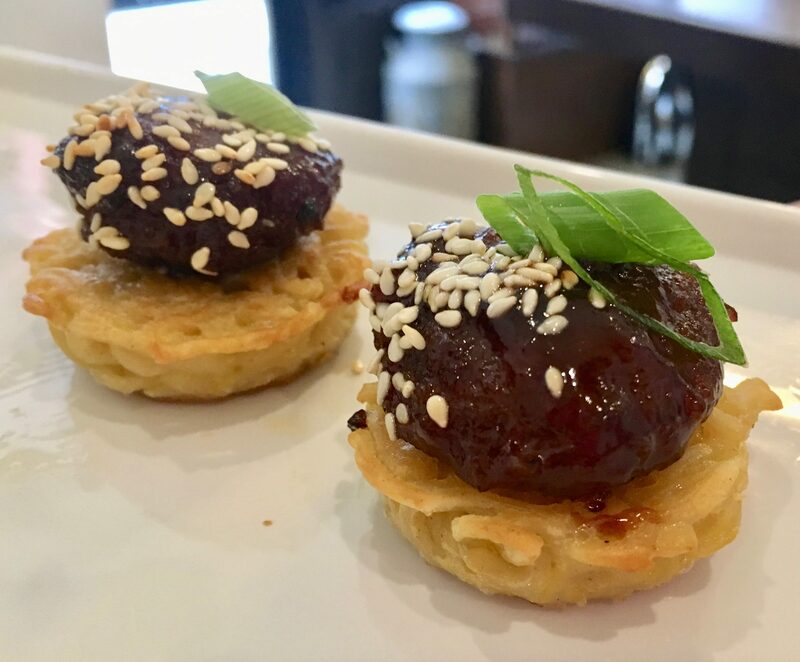 Recently, I was invited to a Chef Tasting hosted by Scoozi at one of their intimate midtown venues, where my mind was fully blown by the unique selection of mouth-watering Hors D’Oeuvres and craft cocktails that I had the extreme pleasure to enjoy. 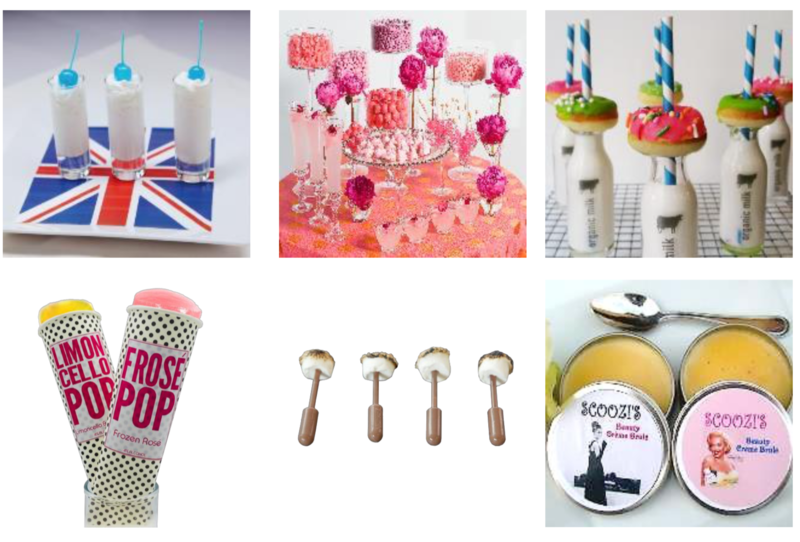 Take a look at some of my favorite bites! 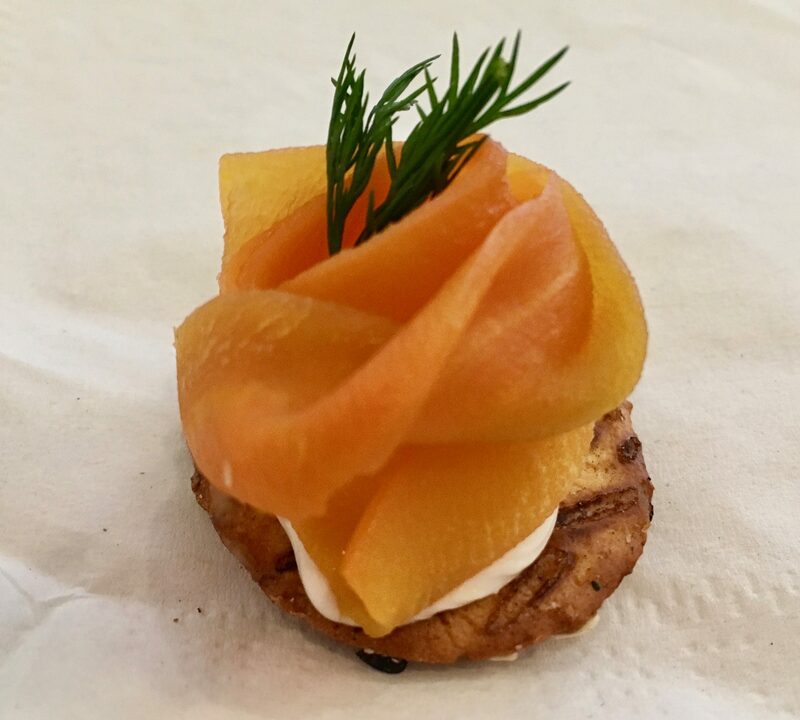 Scoozi has an extensive menu of vegetarian-friendly small bites, including this Smoked Carrot ‘Lox’ on a Bagel Crisp with Cream Cheese and Dill Garnish. 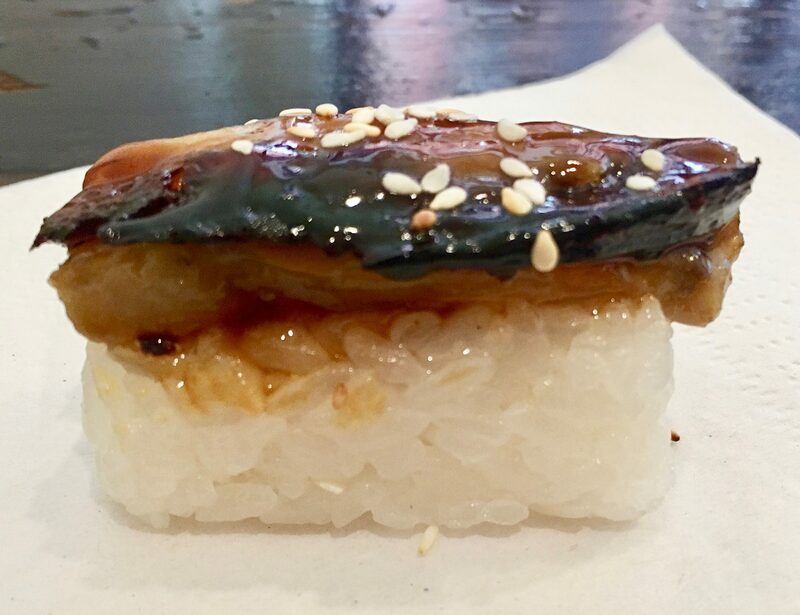 Eggplant Nigiri: it looks like Smoked Eel Sushi, but it’s a teriyaki-glazed slice of perfectly torch-finished eggplant! Chicken Verde Tacos with Scallion Crema and Queso Fresco on a Mini Flour Tortilla. 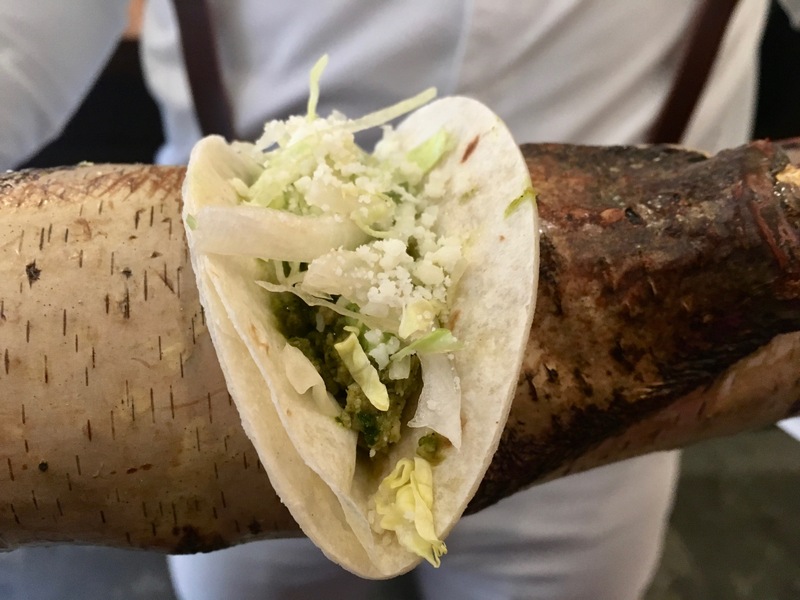 These tiny tacos were presented on a long tree branch with wedges cut out to nestle each taco perfectly. Check it out! 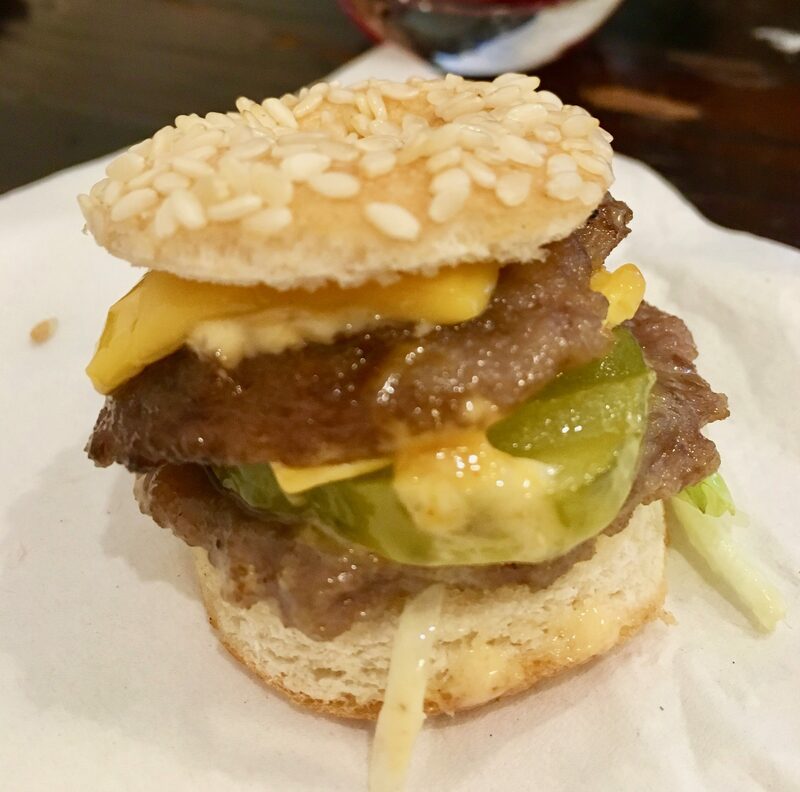 Mini Big Macs, Scoozi Style! 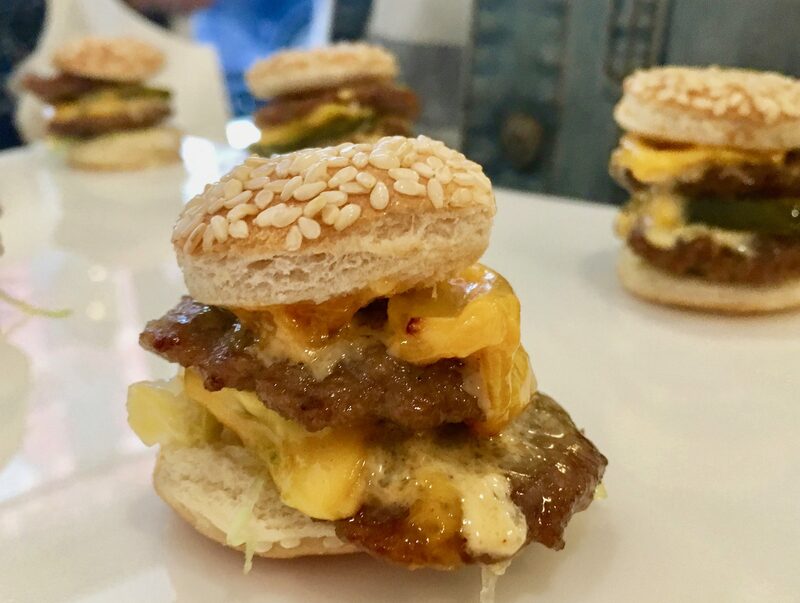 These Baby Macs surpass the ordinary slider, taking the classic ingredients of a McDonald’s Big Mac sandwich but swapping the expected dill pickle for a slice of sweet Bread and Butter Pickle — for a little flavor thrill! Another alternative to the traditional beef blider is the Ramen Noodle Burger; an open-faced, teriyaki-glazed Burger on a Ramen Noodle ‘Bun.’ Delish! 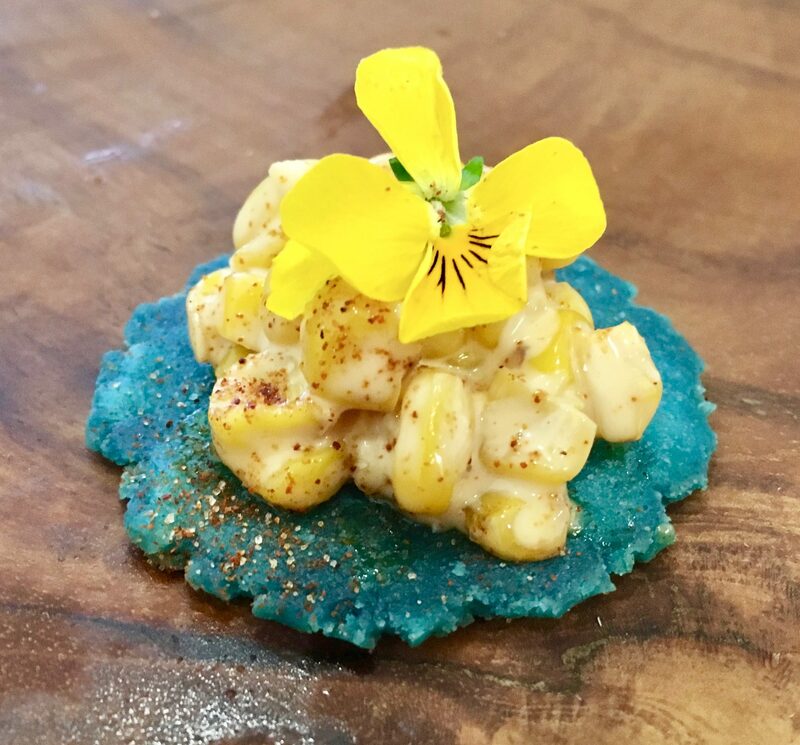 Mexican Street Corn on a Blue Corn Tortilla! 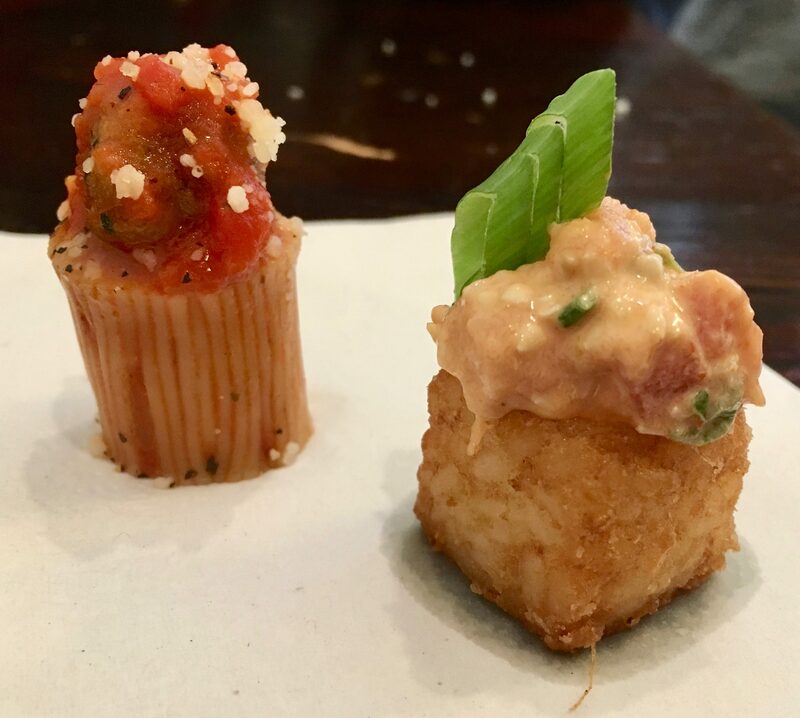 Spaghetti and Meatball, and Tuna Tartar with Sriracha Aioli on a Crispy Rice Cake. Everyone wanted to know how they got the pasta into that shape! An updated take on the cocktail party favorite of Pigs in Blankets, Scoozi calls this the Beef Pig in a Pretzel Shell with Grain Mustard “Caviar.” Absolute perfection in a single bite. 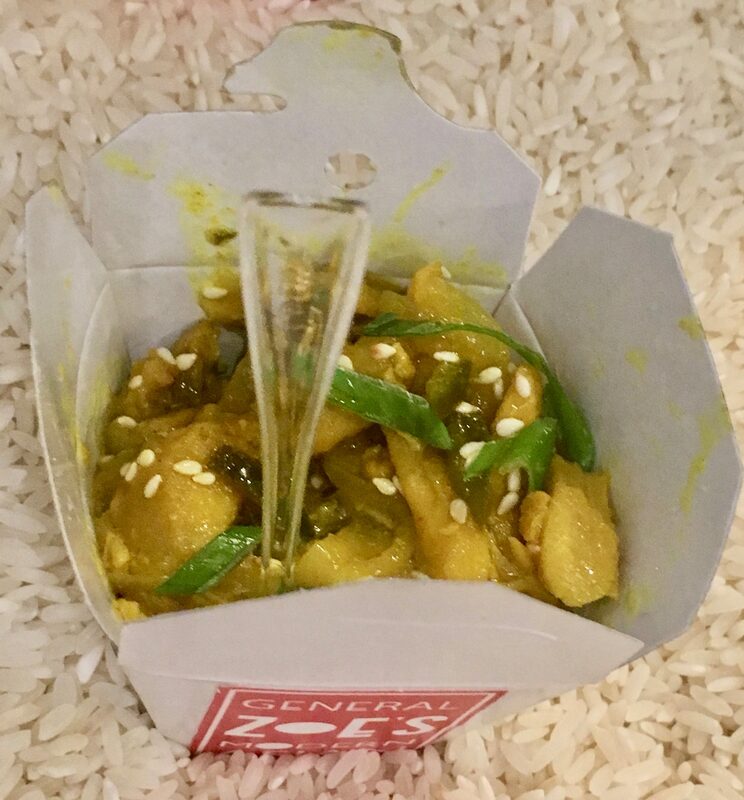 Sizzling Lemongrass Chicken with Sticky Rice ‘Pop Up’ — These customized “General Zoe’s” Chinese Take-Out containers were presented in an oversized wok filed with uncooked white rice! 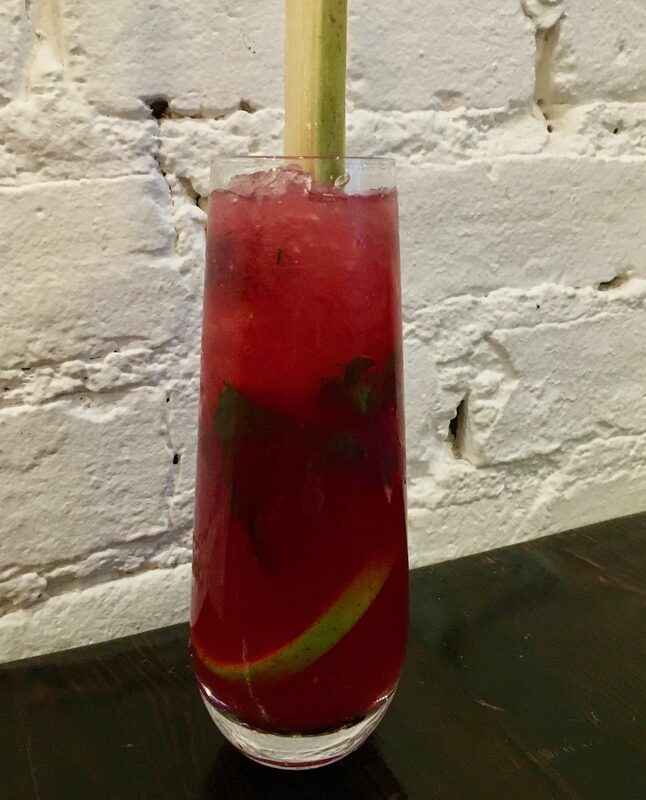 My thirst was quenched by a selection of refreshing and fruity cocktails: the Pineapple Orange Coconut Mojito (above) and Blackberry Mojito (below), both served with a fresh Sugar Cane stalk stirrer! 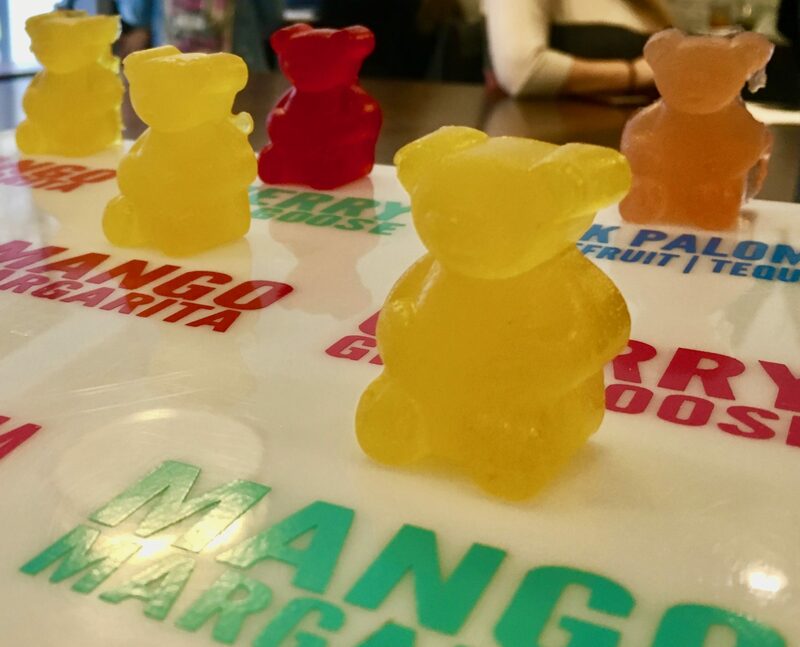 Yummy Alcohol-infused Cocktail Gummies improve on the usual Jello Shot, being part cocktail and part sweet dessert! 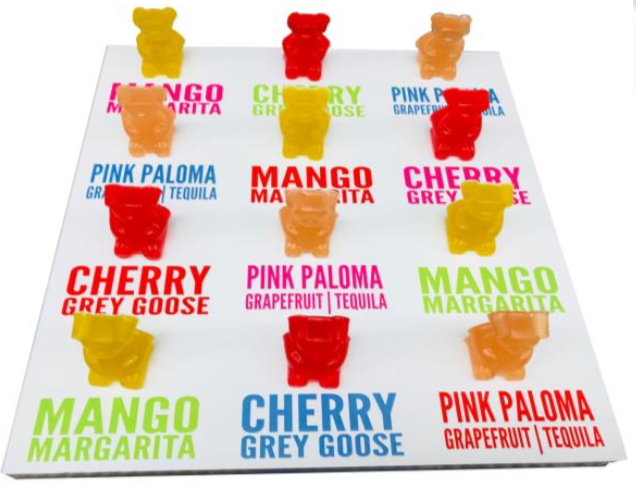 The Pink Paloma was my favorite! 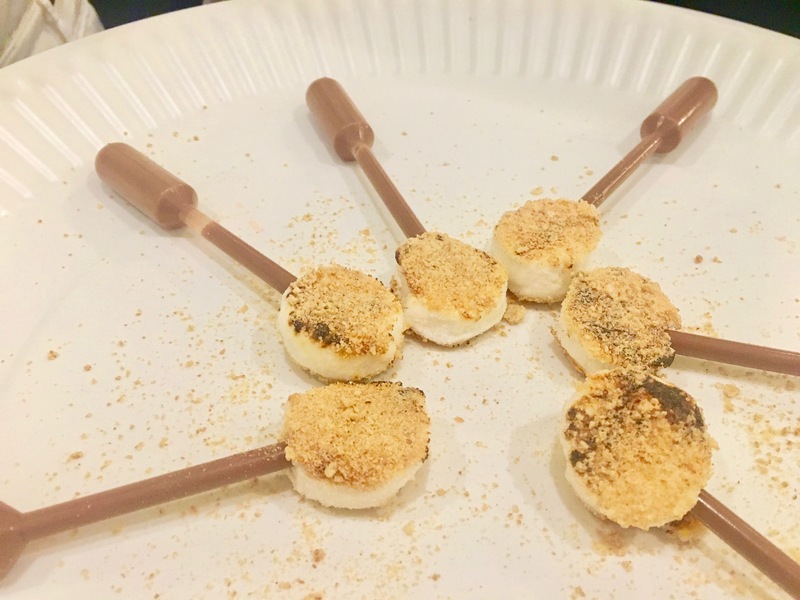 For dessert, these Deconstructed S’mores are a Scoozi original: Toasted Marshmallow rounds dusted with Graham Cracker Crumbs and accompanied by a squeezable pipe filled with Warm Melted Chocolate! To enjoy; bite the marshmallow and simultaneously squeeze the chocolate into your mouth. Decadent! Affogato is a traditional Italian dessert consisting of Espresso Cold Brew poured over Vanilla Ice Cream, here topped with whipped cream. Simple, but amazing! Notice that the attention to detail includes a fun miniature replica of a Greek Diner Coffee Cup. Adorable. During the tasting, I had the chance to enjoy a marvelous, casual conversation with Scoozi Events President and CFO, Gianluca Ballarini, who is as charming as he is talented. Gianluca’s fascinating background includes a former career in the international fine jewelry business, and he can share stories both amusing and enlightening that probably qualify him as the guy at any party who everyone wants to talk to. But beyond being entertained by our chat, what I got most from Gianluca is the degree to which he cares about the services that Scoozi Events provides: because it’s not just business to him, it’s really more like a family. If I hadn’t already been won over by the fine food and drinks, Gianluca’s kind heart and commitment to customer service sealed the deal. 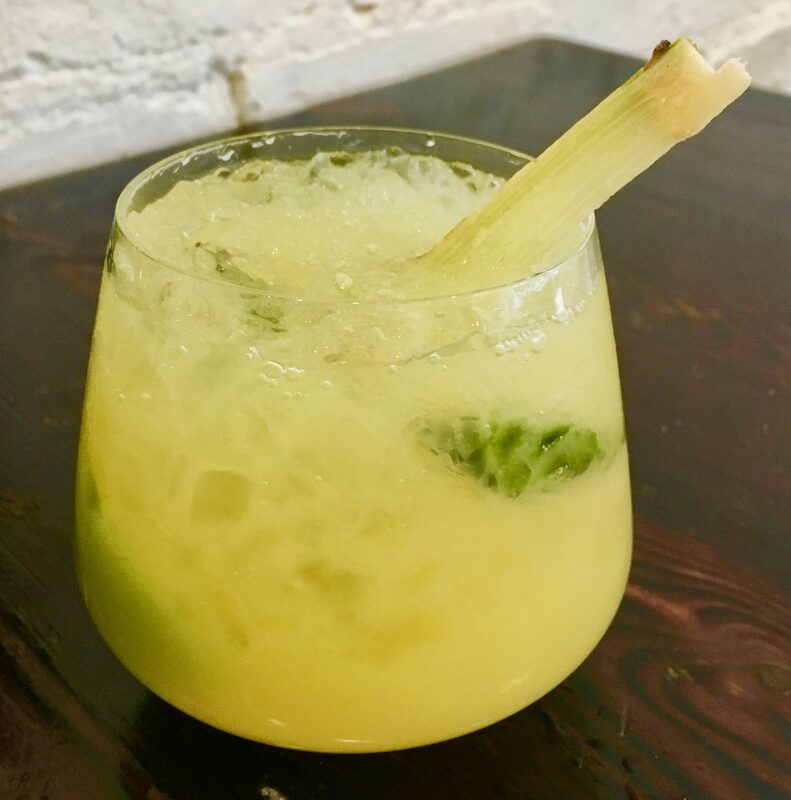 Beyond their impeccable food, cocktails and decor, Scoozi Events also work with many cool venues all over NYC, and they can recommend a variety of places to consider when you need a place to book an upcoming event. To find out more about Scoozi Events, see menus (including so much more in the way of food, cocktails and desserts than what you’ve seen here), and request a personalized proposal to plan every perfect detail of your next event, contact them via their website at Scoozi Events Dot Com! 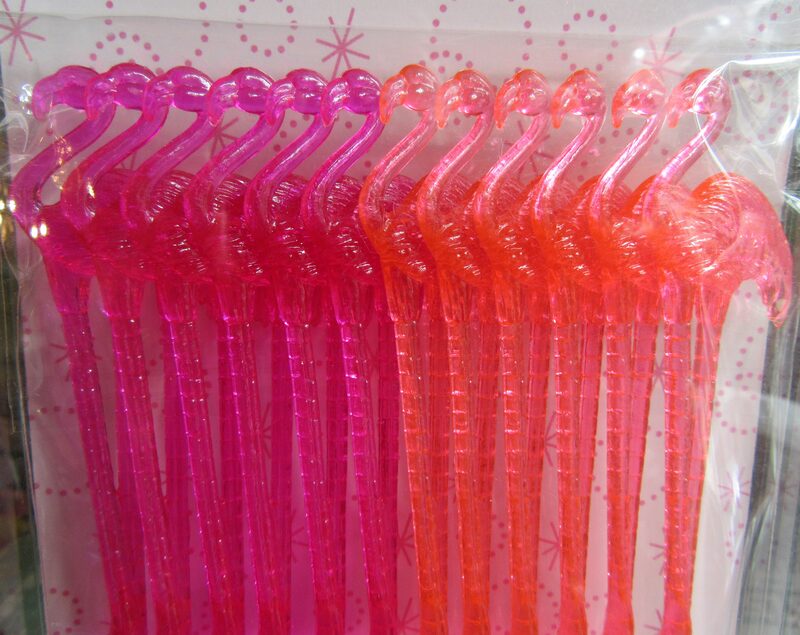 Pink Thing of The Day: Pink Flamingo Vintage Cocktail Stirrers! These are amazing, aren’t they? Any cocktail would just taste better with a Pink Flamingo extending delicately from the glass. 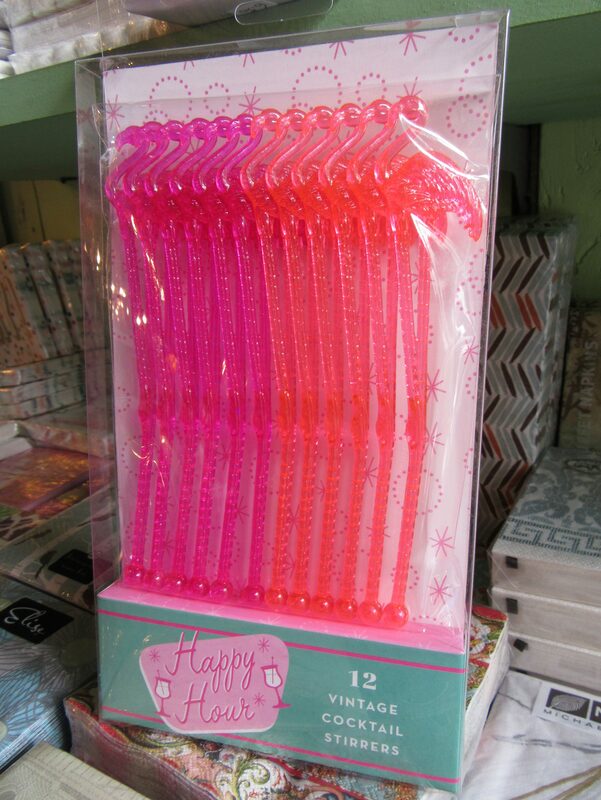 I spotted these out in San Marino, California, at Simply Fresh; a terrific store for finding fun stuff like this.